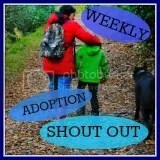 So, apparently it’s national adoption week, it’s pending arrival passed me by. I’ve been preoccupied talking with emergency social workers, police men, mental health professionals and tending to my bruised body, broken heart and traumatised children. So here we are, it’s that special week every year that organisations and champions really push adoption in what’s basically a recruitment drive. The stories of the children who ‘only need a loving home’ to grow up in, or the siblings that ‘want a new mommy and daddy’, or the child that ‘just needs to be loved’, you know how it goes. Tag lines, catchy phrases, heart wrenching photos of sad looking children that just want to be loved. We have a loving home, plenty of love to share. Our 3 easy to place (apparently) children got their new mummy and daddy. Doesn’t stop the trauma. Doesn’t stop the violence. Doesn’t stop the heartache. Well, I’m done with #NAW, I’m done with organisations painting pretty fairy tale pictures and avoiding the truth of the matter. Adoption is NOT for the feint of heart! Its nothing like parenting a birth child! Its a relentless battle for help that no one’s prepared to pay for! Its being blamed, judged and shunned! Its emotionally and physically exhausting! (I’m not even sure exhausting is a strong enough word?!). I’m tired of fighting for my children, for the support they need and deserve and being passed from pillar to post, blamed or ignored. Would I recommend adoption? No, never. I love my children with all my heart and I will never give up on them, but would I recommend it? No. Uh Uh, no way! If all those organisations that use money and power to push this drive every year for new recruits, instead used that power and money to push for better support and understanding, maybe less adopters would feel so let down and misled, maybe more children would get the support and understanding they need and more people would be making informed choices to adopt. *Sorry if this isn’t the fairy tale post you hoped for, it’s been a really rough few weeks (more like 8years!!) and my positivity appears to have gone missing (died a slow painful death! ).